When you're crafting the world's first-ever 4K tablet, it probably takes a little while to get everything right, which would explain why the world still awaits the Panasonic Toughpad 4K a year after its unveiling. 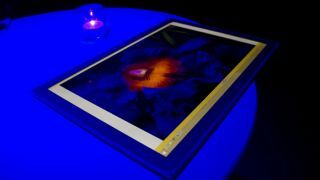 The giant 20-inch slate with a resolution of 3840 x 2560 (230ppi) was first showcased at CES 2013 last January, promising a big screen solution for medical professionals, designers, architects and the like. And despite reports claiming the $6,000 (£3,648/AU$6,743) slate would hit the market this month, the latest word is that the Windows 8.1 Toughpad won't drop until mid-February. The Toughpad 4K, as the name would suggest, is hardened to the elements thanks to a magnesium alloy casing. It's also half-an-inch thick and weighs 5.27lbs. All of that screen power means battery life is compromised with Panasonic promising only two hours of juice for the Toughpad 4K. Inside there's an Intel Core i5 Ivy Bridge processor, a Nvidia GeForce GT745M dedicated GPU, 256GB of internal storage and a respectable 8GB RAM. While some may consider the Toughpad 4K to be perfect for their needs, Panasonic may be wise to get it out of the door and onto the shelves as soon as possible. Right now it's the only dog in the fight, but with this year's CES expo just days away, it'd be little surprise to see more 4K slates announced during the show. Will 2014 be awash with 4K tablets? Here's some of the tech trends we expect to see hit the big time in the next 12 months.